Low-maintenance, lusciously textured and lush groundcovers can turn a backyard into a patchwork of greenery. They now blanket most of my yard, cutting my work in half and saving me the countless hours I would otherwise spend mowing, string-trimming and edging. With the right groundcover plants, you too can replace your mulch, lawn and weedy flower bed with something that actually works. For those of you who aren't in the loop, groundcovers are low-growing plants that effectively 'cover' the 'ground'. See what I did there? 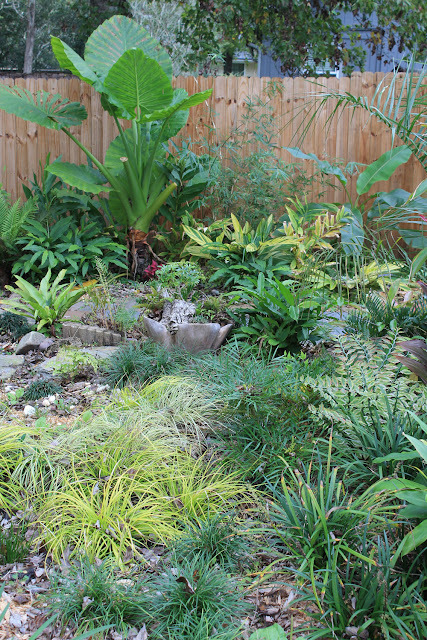 Perennials, vines and shrubs can all be considered groundcovers, as long as they are used as such. Groundcover plantings also attract wildlife, drastically reduce time spent weeding, prevent erosion and grow where grass simply cannot. Just in case you aren't sold on their appeal, I'm giving you 8 reasons to grow groundcovers in your own garden. Let me know if I missed anything. Don't tell me you'd actually prefer mulch to this mass of bromeliads. Mulch is overrated, and your goal as a gardener should be to eventually replace that expensive stuff with plants. Wood-based mulch temporarily robs the soil of nutrients until it's fully rotted, but by that point it's already time for another fresh layer. It's also a favorite home of phallic-looking stinkhorn mushrooms. Yes, you read correctly. Cypress mulch, in particular, is home to a mushroom so nasty and smelly that you can't leave one standing erect in your landscaping without putting up a parental advisory sign to warn unsuspecting passerby. The groundcovers planted throughout my dry creek bed keep soil from washing away. 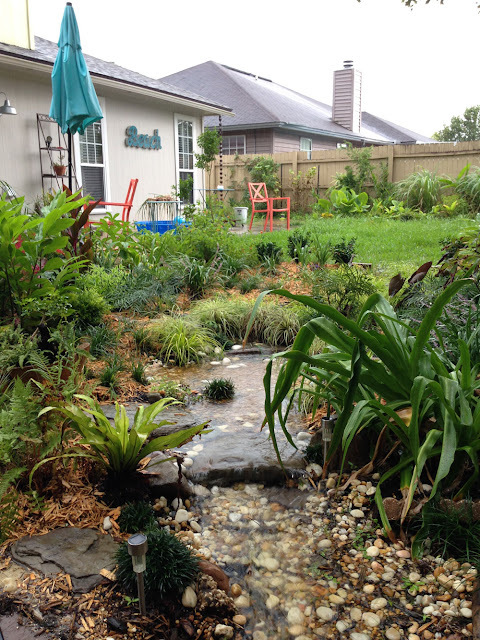 That fertile soil in your garden is valuable, so why would you let it wash away? 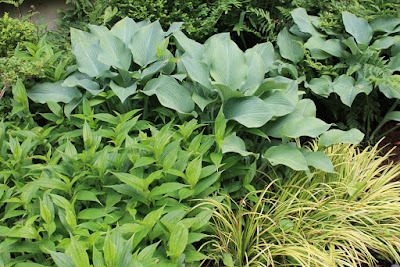 All plants put out roots that help stabilize soil, but groundcover plants are especially useful because they form a wide mat of interconnected roots and stems. On steep slopes or in wet ditches, grass becomes impossible to mow and mulch just washes away. Groundcovers, on the other hand... you see where I'm going with this. This turtle vine and Cryptanthus grow at the base of my big maple in full shade. 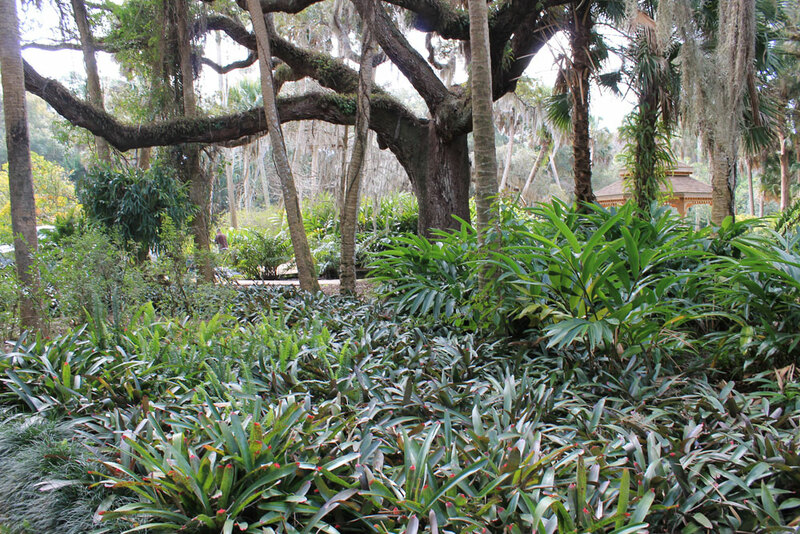 Whether its in the forbidding shade and root-choked soil at the base of a tree, the space between stones and pavers, the dry shade on the northern side of your house, or a low area that alternates between drought and inundation; there's a groundcover to excel in your situation. Grass, on the other hand, either perishes in those conditions or becomes too much of a maintenance hassle. This hosta, toad lily and carex brighten up P. Allen Smith's Original Garden Home. It isn't very often that you cut across a parking lot median and say to yourself "I love how these dying plants complement the red mulch!" While waiting for your burger at a drive-thru, you almost definitely don't look out the window at the landscaping and say "You know what my garden needs? 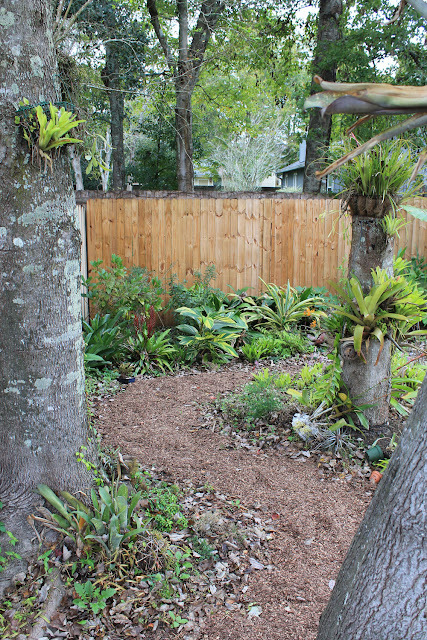 Less plants and more mulch." Sure, the woodsy smell of freshly applied mulch is addictive and hard to resist, but when the aroma and color fade away, so does your enjoyment. 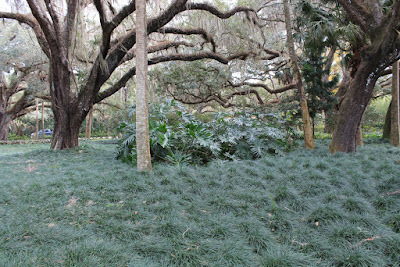 A bed of mulch is ugly, while a bed of lush greenery is not. I rest my case. Good thing there are groundcovers in front of these benches. 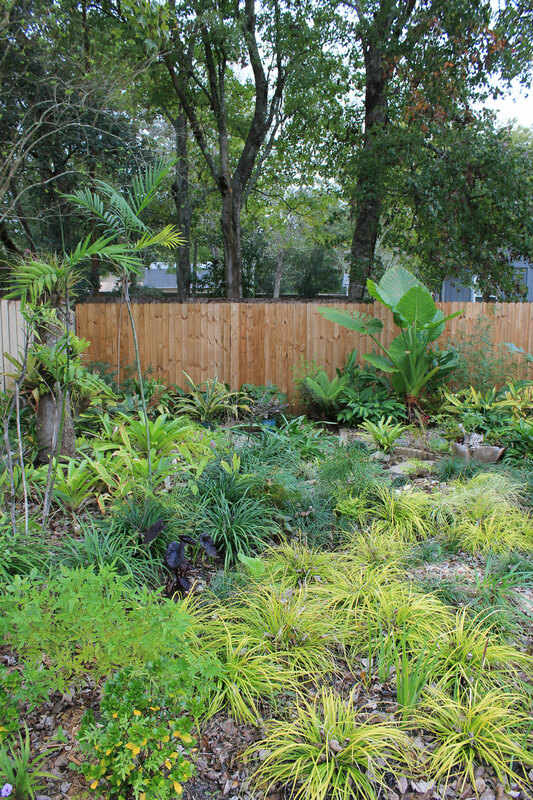 One reason folks hesitate to dig up their grass is that they're afraid of ending up with a cluttered garden and losing that open view afforded by their expanse of lawn. 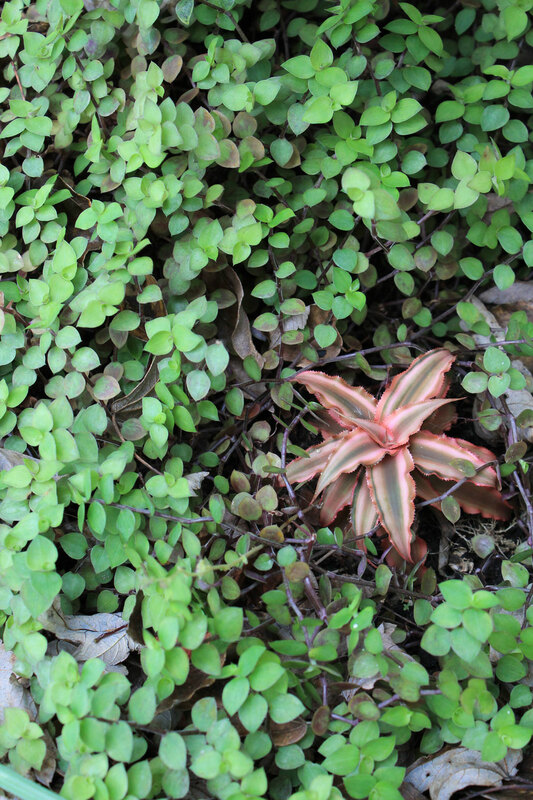 Well, a mass planting of a single groundcover plant has the same aesthetic effect as a lawn. It gives the eye a place to rest, provides a wide open view and pulls everything together. 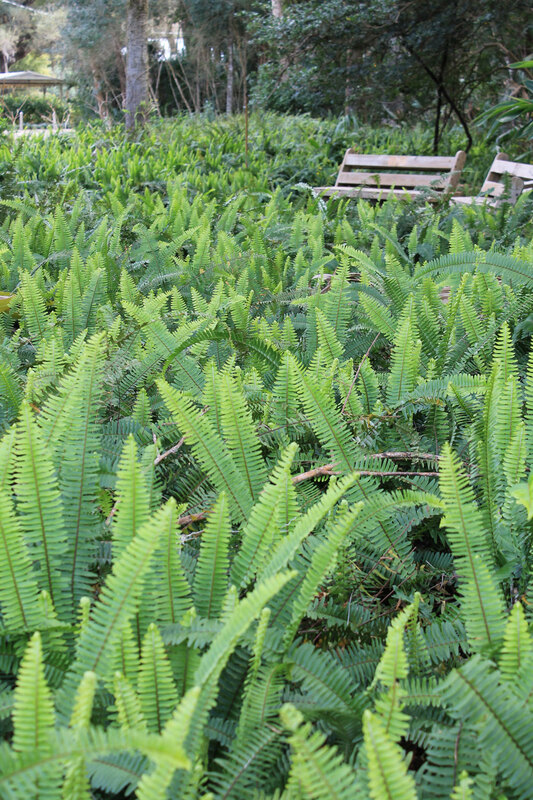 If your garden feels a bit claustrophobic, you might even consider replacing overgrown shrubs and perennials to give your garden a fresh, new look. Birds are constantly eating the diverse insects beneath my groundcovers. They actually sell bags of birdseed with a healthy dose of mealworms - you know, for those birds that grow weary of eating like birds. In all seriousness, many birds really do eat bugs just as ravenously as they go through your birdseed. Rather than be the one who stores bags of bugs in your pantry, plant low-growing groundcovers instead. They provide homes for insects while giving songbirds easy access to all of that yummy grub. Since planting and adding a small amount of mulch this summer, I've weeded once. They do a better job than mulch and turfgrasses, so this alone should be enough reason to plant groundcovers. Not only do they ideally leave little room for weeds to get a foothold, they also shade the soil and prevent their germination. If you've ever seen a solid mass of mondo-grass or Liriope, you know just how effective they can be. In the areas I've replaced with groundcovers over the last year or so, I think I may have pulled weeds only a few times. Meanwhile, the mulched front yard plantings are constantly getting taken over. Here at Washington Oaks Gardens, mondo grass covers a lot of ground. Just think: No more mowing! 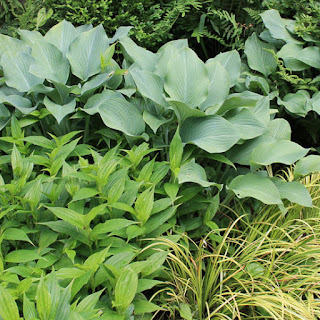 As I said in the intro, a well established planting of groundcovers needs hardly any maintenance, while a lawn needs mowing, feeding, pest-control and disease treatments. Even if you get enough natural rainfall to water your lawn, replacing much of it with groundcovers and other plantings will save you a lot of time. Sure, lawns are much more treadable, but if you haven't run all over your lawn in the last month, you could get away with replacing the grass with a low-maintenance groundcover instead. My backyard is a patchwork of soft, fuzzy goodness. So there you have it: Groundcovers rule. If you see something you want to grow yourself, many of the groundcovers in my own garden are part of the Southern Living Plant Collection; pick up a tray of Carex 'Everillo', Mahonia 'Soft Caress', or Gardenia 'Scentsation' at your local garden center today. Can you comment on ground cover that deers won't eat? I have a lot of shade and they have eaten hosta after hosta; even while still in their home depot pots. How about vina? I've dumped pots after the summer and i see it now growing into the woods.